The BCMC 2018 Plate Clearance Sale | Find out more here! The BCMC 2018 Plate Clearance Sale | Find out more here! 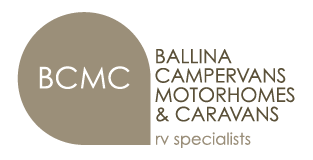 If you’ve been considering making the investment into your very own recreational vehicle then you can’t go past the BCMC’s 2018 Plate Clearance Sale! On offer are some of our most popular models, including; Millard Caravans, Frontline Campervans and our exclusive Horizon Motorhomes. With up to $10,000 (or more) worth of savings on offer, this is a sale not to be missed. If you’ve been thinking about embracing the RV lifestyle, now is the ideal time to purchase your very own caravan, campervan or motorhome. Contact us today or come visit the friendly team at our showroom in Ballina to find out what vehicles you can save BIG $$$ on!